Gigantic Antique French Cut Crystal Casket With Domed Lid. With Fine Dore Bronze Mounts, Four Lion Paw Feet and Bow Clasp. 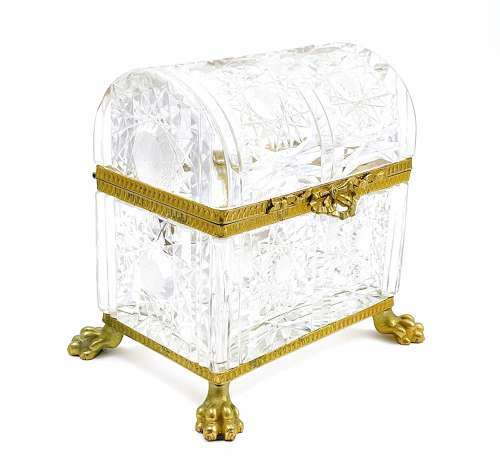 Impressive French Cut Crystal Casket !